At this time of year, the girls love nothing more than getting cozy, grabbing some snacks, a mug of hot chocolate and lots of crafting things. They love to make Christmas cards for friends and family using lots of glue and glitter. Wynsors got in touch and asked if we’d like some Christmas crafting bits and bobs, so of course we said yes! I’ve used Wynsors before to buy the school shoes for the girls. I like the quality and the prices are excellent. When the box arrived, the girls were delighted to find hot chocolate reindeer, golden chocolate coins & crafty goodies. They’d picked new slippers and were very happy with them. Ella had picked giraffe slippers and Kaycee chose animal print slipper boots. The girls shared the chocolate coins out as soon as they pulled them from the box. Ella pulled on her super cute slippers and paraded around the room! 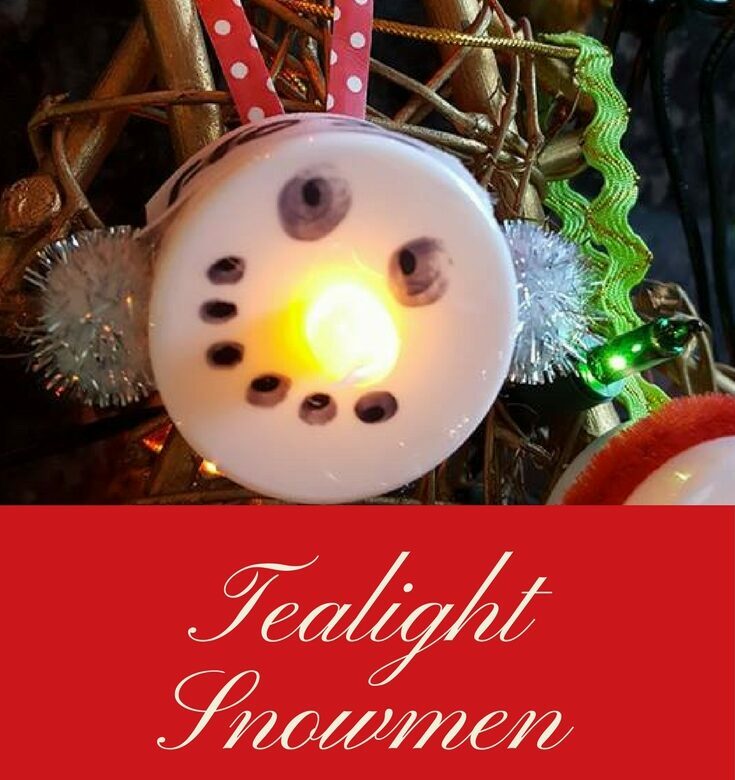 Sparkly Christmas cards were made for families and friends while enjoying hot chocolate with squirty cream! A few days after the slippers arrived, Ella had a letter from school saying they could wear slippers in school for the day. In return, they had to take in a bottle for the school Christmas fair bottle raffle. Thanks for the box of goodies, Wynsors; the girls enjoyed their crafting afternoon and love their cozy slippers. Ella loved making her owl pine cone. We used the hot glue gun so I had to watch her closely but you could use PVA and let all the pieces dry before sticking them onto the pine cones. Draw your owl eyes, eyebrows, beak and wings (and belly if you’re using one) on your felt and cut them all out. Glue the eyes, beak and eyebrows together then glue the wing pieces together. 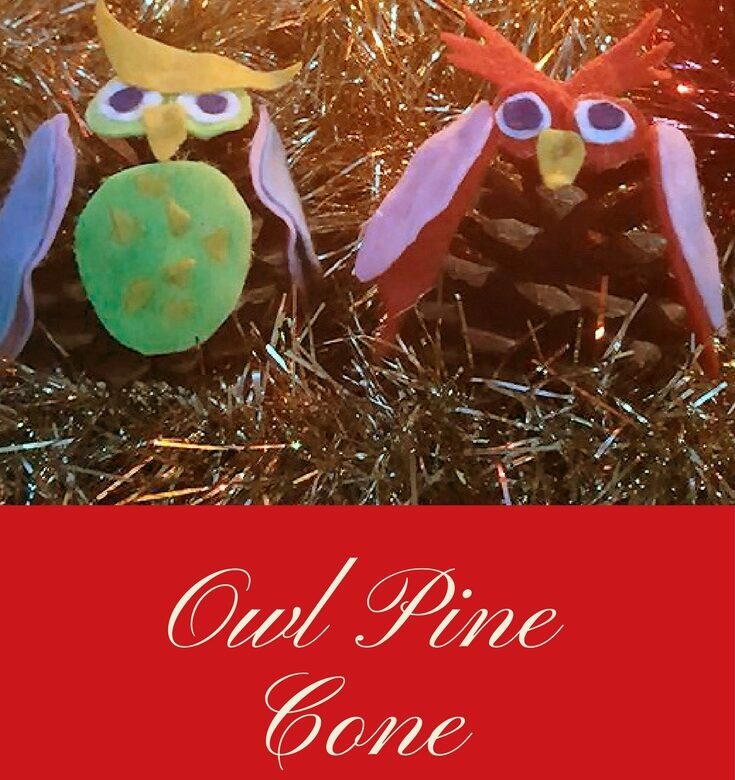 Glue the face and wings onto the pine cone (and belly if you’re using one) then add some ribbon if you want your owl ornament to hang on the tree. Day 7 tomorrow and we’ll be making a Christmas tree in a book by folding the pages. Home Security is paramount, especially at this time of the year. We can have hundreds of pounds worth of Christmas presents stored at home. It would be devastating to have them all stolen. When we moved to this house, Ant put in an alarm system. We’ve each got our own code to alarm it and disarm it. The kids have a code each and if they use their code, it makes a call to Ant’s phone to let him know the alarm has been armed or disarmed. I love this feature because it means if we’re out, we know when Aiden’s home safely. Ant and I like to watch shows like Criminal Minds on the TV and when they have storylines where people enter the house while the owner is sleeping, it can really creep me out. I feel so much better when I get into bed and switch the alarm on. Although, it has scared the life out of me a couple of times when one of the kids have gone downstairs in the middle of the night. They forgot about the alarm and it went off as soon as movement was detected! Ant had lightening reactions both times it happened. He was up and out of bed before I’d even registered what had happened. I was thankful for the keyfob at the side of my bed so I could disarm it before it woke the whole street! As well as the alarm system, he also put a camera out the front. He has a couple of monitors on his PC so he can see when anyone comes to the door when he’s in his office. Don’t put the wrapped presents under the tree, especially if they can be seen from outside. Keep them hidden until Christmas Eve. This is common sense but it’s worth mentioning….make sure all windows and doors are locked and are fitted with key operated locks. If you’re going away and leaving your house empty, try to make it look like someone is home by setting lights and the TV to come on in the evenings. Don’t forget to switch on alarms when you leave the house or go to bed. Don’t tell people on social media that you’re going away for Christmas. You don’t want people to know your house will be empty. Ask a neighbour to keep an eye on your property and move the mail from the door every day. Thieves look for signs like a build up of mail to help them find an empty house. 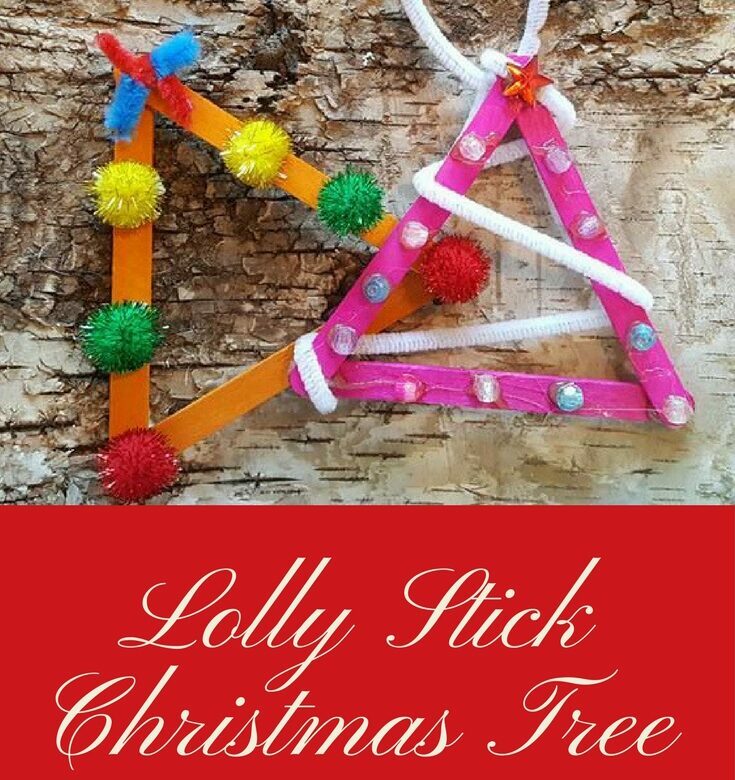 These lolly stick Christmas trees are really easy to and quick to make. They’re great for time is short and you don’t want too much mess making! 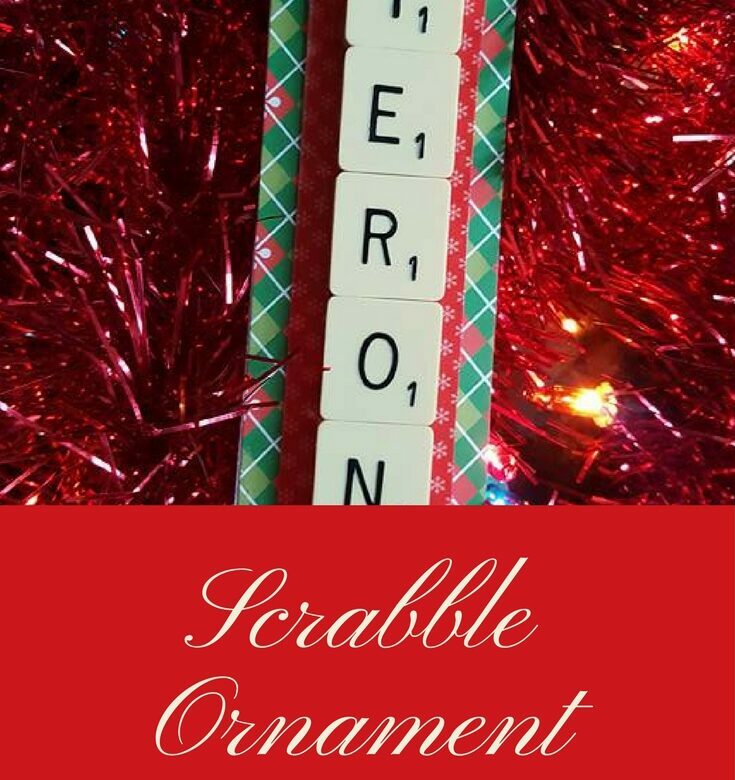 Tomorrow’s tutorial is personalised Scrabble tree ornaments. 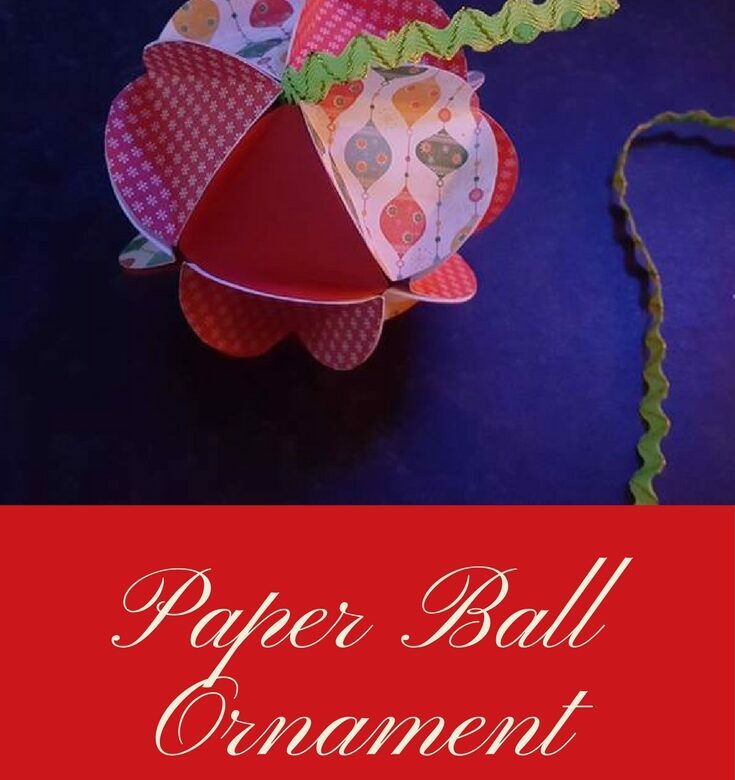 I love this paper ball Christmas tree ornament. I think I’ll make the circles a little smaller next time I make one, though. It’s a bit big for my liking. If you like projects that are a bit repetitive, you’ll like this one because you first have to cut out 20 circles of paper or card then score every circle before gluing together. It can take a while, which is why I drafted Kaycee in to help! Cut 21 circles out of the card. I used a small roll of tape to draw around. It was about 5cm but as I said, I’d use something smaller next time. I’d never heard about video greeting cards and my mind boggled as to how you put a video in a card! It’s really quite simple, though, with help from Choosey. With Christmas coming up I’ve been picking Christmas cards. The girls are going to be making the videos for their brothers, sister and other family members. They love making videos of themselves, unlike me! All you have to do is pick your card, upload your video and tell them what message you’d like writing in the card. You can choose your text size and font. There are also graphics like emojis that you can use. You don’t have to add a video, you can just create a regular card. If you’re adding a video, you just need to upload it and a QR code will be printed inside the card. I also have a discount code to share with you. Enter the code BGCHRISTMAS16 to get 25% off your order.